Omega, which was founded in 1848, is one of the world’s oldest, most highly respected, and popular watch manufacturers, so it should come as no surprise that the brand is frequently the target of counterfeiters. Knock-off reproductions vary in quality and detail with some so close in design to the original watch that the case back must be removed and the movement examined in order to verify the watch’s authenticity. If you are considering purchasing an Omega, here is some advice to help spot a possible counterfeit. Combining multiple design elements into one is the biggest red flag to look for when identifying a fake watch. Many counterfeits draw design elements from different Omega lines, resulting in a watch that has the features of two or more distinct Omega models. If the watch superficially appears to be a Speedmaster, but says Seamaster on the dial and has the case back of a Constellation, then the watch is probably a fake. 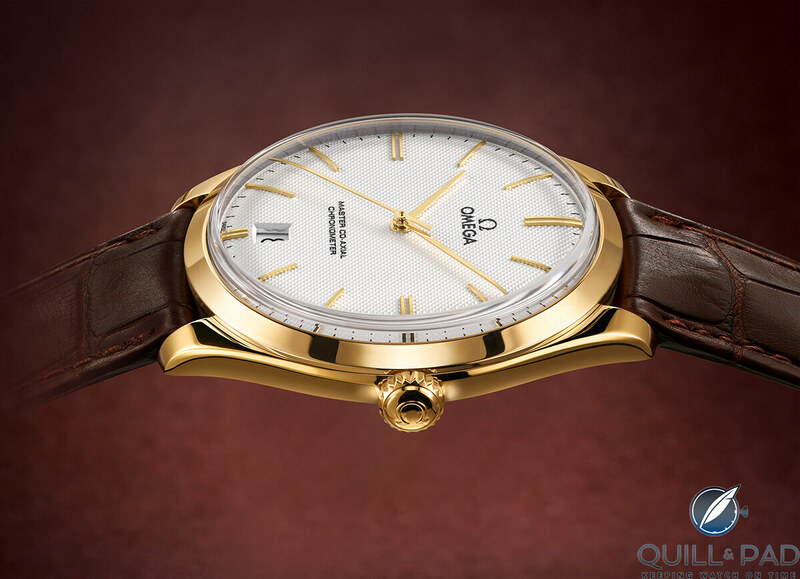 One major exception to this rule is constituted by some vintage examples of Omega’s De Ville model. Prior to becoming its own, unique model in Omega’s lineup, the De Ville was released as a variant in the Seamaster model range. As a result, some of the earlier versions have both names printed on the dial. Given that Omega makes some of the finest timepieces in the world, you can rest assured that the firm does not produce watches with misspellings on the dial, case, or movement. Additionally, any printing on the dial or engravings on the case/case back should be near perfect in execution on an authentic Omega. If the lines are messy or crooked, then you are likely dealing with a fake watch. Many counterfeiters do not bother to take the time to fully replicate all of the functions of the original watch. Examples of this may include a Speedmaster with non-functioning subdials or helium gas escape valves that are misplaced or do not unscrew. If an Omega without a date display or any other complication has multiple crown positions, then it is likely a sign that the movement inside was not originally intended for that watch. Omega watches are engraved with a seven- or eight-digit serial number that is entirely unique to that specific watch. 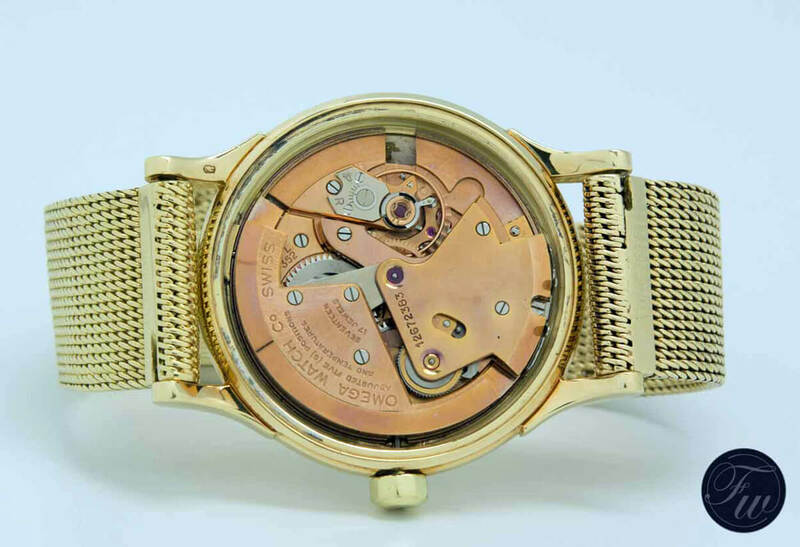 Vintage watches frequently have the serial number engraved on the inside of the case back, while contemporary Omega models often have it engraved on the outside of the case (more often than not on the bottom of one of the lugs). Even when a serial number is present, it is worth running the number through a quick Internet search. Many counterfeit Omega models use the same serial number for multiple watches, so if the serial number comes up for anything other than the exact watch that you are holding, then it is likely a fake. If uncertainty remains, open the watch and examine its movement or take it to a watchmaker and have him or her do this. Omega engraves its movements, and the majority of its vintage models feature movements that are plated in copper. All Omega movements – new and old alike – are remarkably well finished and possess a certain level of refinement and detail that will not be found on counterfeit timepieces. While this checklist is a great way to help you spot many fake Omega watches, there will still be some counterfeits that are such faithful reproductions that you should have them examined by a professional before purchasing. Anytime you purchase a watch, it is important to do your research. And, as always, you must trust the seller. You might also enjoy, 6 Ways To Spot A Fake Watch, Even If You Don’t Know How To Spot A Fake Watch. Paul Altieri is the founder and CEO of the popular pre-owned watch site Bob’s Watches. How safe is it to buy a used Oega from a seller in Homg Kong or other places in. Asian. The same as anywhere, Harry. The most important thing to remember is that when you buy a pre-owned or vintage watch, you are buying the seller as much as the watch. So do your homework! Being a vintage collector and trader for 19 years now, I have not run into really well-made fake Omegas, be they Speedies or Seamasters (where you have to be careful with the Seamasters 300 big triangle etc., Frankenwatches from watchco.). Unlike vintage Rolex, vintage Omega dials are not as professionally faked. Relatively easy to spot so far, you often do not even need a loupe. With vintage Rolex, this is a totally different ball game. Dials are so excellently made that you need to take the watch completely apart and analyze every letter on the dial, the back of the dial, and then you hopefully realize what is wrong. Big difference to Omega, at least from everything I have seen so far. As with most higher value vintage timepieces the largest percentage of the total value of the watch is found in the dial, you have to watch out mostly for the dial. Fake movements are easy to spot. In addition, with vintage watches the bigger danger I find in “Franken” pieces, watches made mostly from pieces which comes from the manufacturer, but do not belong together. That part requires a lot of knowledge on your part or to find people who know what you do not know. Always buy the seller is good advice, but at a time where prices of vintage watches partly have skyrocketed, even formerly good sellers have become corrupted. Greed has been destroying a lot in vintage watch collecting. So you really cannot be careful enough. Do your own homework, find people who you truly trust and who help you. There are collectors who know a lot and like to share. Do not trust strangers. There are many self-proclaimed experts who do not possess 20 or 30 years’ experience, but have just big egos and claim knowledge they do not have on forums and on the internet. Last but not least, certain parts on a watch can easily be replaced (most of the time) such as a bezel. Re-lumed hands are not a knockout to buy a nice vintage watch which is otherwise in good condition. So collecting vintage timepieces has become much more demanding and complicated than it was 10 years ago, but if you do your own homework, it can still be fun. Omega has had such an amazing output over the years that there are many exceptions to the rules. For instance, the Mark 4.5 Speedy has a Seamaster caseback. It is also worth remembering that their quality control watches sport an asterisk instead of the serial number on their cases. After we published this article, an acquaintance of mine involved in combating fakes messaged me with a bit more in-depth advice, which I share here. One big telltale sign is that no fake Speedmaster has correct subdial spacing; all are too widely spaced, which cuts the 3 and 9 o’clock markers short. This is because the movements used in the fake Speedmasters are either Sea-Gull ST19 or ETA Valjoux 7750, both of whose chronographs don’t fit the case the same way; there is no cheap equivalent of the co-axial movement with correct subdial spacing, though the Sea-Gull-outfitted fakes are a tad better than those using the Valjoux. On the replica Speedmasters outfitted with the Sea-Gull ST19, all subdials work with the exception of the 12-hour counter. But you would need to run the chronograph for some time to notice that. Because of its proprietary co-axial movement, the Speedmaster is one model that is relatively safe from accurate reproduction. So keep a good eye on those subdials! My acquaintance also says that most serious replica watches have serial numbers that are now different on every watch, and only the cheapest would have misspelled words these days. As an aside, he says, the easiest way to identify a fake Omega is to check the crystal: a genuine Omega has the Omega symbol in the center of the crystal, and practically all replicas do not. While this does not guarantee authenticity – or lack thereof as a crystal may be replaced with a genuine one – it’s a good indicator. While Branded watches r piece of art, it is well-known that their sky-high market prices r manipulated by the manufacturers. Come to think of it, any Japanese watch is as good as a Rolex or Omega, who rely only on the vanity of its buyers. After all, a watch is just to see time n who cares if yours is 1/10000000 sec Off? I’ve had people try and sell me fake Omega watches walking the streets in Thailand, Malaysia, Hong Kong etc, and they were so bad, there is no way anyone would mistake one for the real thing. I’m told there are close replicas out there, but I am yet to see one anywhere close myself. Great article! Sadly, there is no foolproof way to weed out all the fakes (and redials). It’s all different clues that you have to check on your checklist. As mentioned already, I’ve seen fakes with genuine signed Omega crystals fitted. On the other hand, I’ve seen many more legitimate pieces that had generic crystals fitted. Simply because the crystal had been damaged or badly scratched at one time and the owner (or watchmaker) couldn’t be bothered to fit a new signed crystal. There seems to be some confusion about the serial number. The serial number is on the movement itself. The one inside the case back is the case number or reference number. The chronograph seconds hand did NOT realign at 12 o’clock and the bracelet slightly rattled in between the lugs! Hi, wondering if anyone can give me some advice, I have bought an Omega Seamaster Quartz watch on e bay I have not received it yet but I am now worried it could be fake from the pictures there is a number on the inside of the back case which is 19622963963226 , there seems to be a lot of this model on e bay all in the same kind of condition, any ideas ? What if they send a certificate of authenticity ? “They” meaning the seller? Those can be forged as well. My advice is to only buy from trusted resources.